Filed Under: 9-11 Cover-Up, 9-11 Flight Paths, 9-11 Truth Movement, Architects and Engineers for 9-11 Truth, CIT, Citizens Investigation Team, COINTELPRO, Connecting the Dots, Cowards, Disinformation, Essential Reading, Eyewitness Testimony, Fiction, Flight 77, Frank Legge, Hoax, Liars, Misinformation, Muddying the Waters, MUST SEE, Outrageous Conspiracy Theories, Pentagon, Peter Dale Scott, Research, Richard Gage, Sloppy Research, Straw Man Argument, V for Visibility, Wake Up 9-11 Truth Movement, What Hit the Pentagon? This episode of Visibility 9-11 welcomes back to the program long time 9-11 researcher Jim Hoffman. Jim is a software engineer who has specialized in developing new algorithms, applications is computational geometry, and scientific visualization. His work has been instrumental in significant new scientific discoveries and has been featured in articles in Nature, Scientific American, Science Digest and Science News. Jim’s work on 9-11 has laid an early foundations for the 9-11 truth movement and his work is often cited by important figures in the 9-11 movement such as Dr. David Ray Griffin, Richard Gage and Dr. Steven Jones. Focusing on what happened at the World Trade Center, Jim was one of the first people to point out facts surrounding the 3 building “collapses” on 9-11 including an extensive analysis of the Twin Towers and Building 7. His excellent website, wtc7.net, was one of the first websites to seriously ask if explosives were used at the World Trade Center on 9-11. wtc7.net has proved to be a timeless and valuable resource and, to this day, is waking up visitors to the site for the first time. Jim also currently maintains and regularly updates 911review.com and 911research.com. Jim has also co-authored a book called Waking Up from Our Nightmare: The 9/11 Crimes in New York City with fellow 9-11 truth activist Don Paul. These two gentlemen also produced a video together called 9/11 Guilt: The Proof is in Your Hands. Both of these works focus on the mountain of evidence that all three high rises on 9-11 were brought down with the aid of pre-planted explosives. Jim’s work is ongoing and he continues to publish valuable essays on the destruction of the Twin Towers and Building 7. His latest articles include Thermitic Pyrotechnics in the WTC Made Simple: Three Points of Active Thermitic Material Discovered in Dust from the 9/11 World Trade Center Catastrophe that Anyone Can Understand, and Explosives Found in World Trade Center Dust: Scientists Discover Both Residues And Un-ignited Fragments Of Nano-Engineered Thermitic Pyrotechnics In Debris From the Twin Towers. Jim Hoffman has also had a great impact on the 9-11 truth movement as a whole with his well-reasoned and documented critiques of popularly held myths within the movement itself. Through extensive fact checking and analysis, Jim has been able to identify the weakest claims in the 9-11 truth movement and expose them as likely misinformation. Misinformation takes many forms but is generally information which has not been substantially proven and can be patently ridiculous on its surface, which is spread by well meaning people who don’t take the time to do the research. Over the years, a pattern has emerged by personalities who insist on promoting some of the worst information about 9-11 that one can find. “No Planes” were used on 9-11, beams from space brought down the World Trade Center, or holograms and/or “TV fakery” was used instead of real planes at the WTC have all in one way or another been promoted by “Big Tent” advocates like Kevin Barrett, Jim Fetzer, Morgan Reynolds and others. Interestingly enough, these weakest of links in the pool of 9-11 information have been the same “straw man” arguments that have been used time and again by the mainstream media to attack our movement and discredit us. We at Visibility 9-11 think there are valuable clues to be found in these established patterns that would indicate a possible coordinated effort between disinformation specialists and the media to discredit our legitimate arguments and evidence. 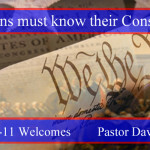 This episode begins with an audio clip from a speech by Dr. William Pepper from June 2006. At the conference in Chicago, 9-11 Revealing the Truth, Reclaiming our Future, Dr. Pepper clearly warns the 9-11 truth movement about infiltration by specialists in disinformation and even gives an example of how he was duped during his research into the assassination of MLK. I was present during this speech and Dr. Pepper’s words had a great impact on me, which inspired the production of my Visibility 9-11 COINTELPRO Special Report in early 2007, where I interviewed both Jim Hoffman and Dr. Pepper on this topic. Visibility 9-11 also produced a newsletter entirely devoted to this topic, it’s history and manifestations in October of that same year. 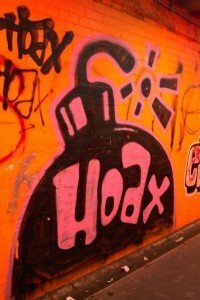 This is must reading if you are to understand how disinformation is being used to discredit YOU. One of the main goals we have at Visibility 9-11 is to educate our listeners and ourselves about all aspects of the September 11th tragedy. To this end, we are taking on a more active role in addressing this important issue. 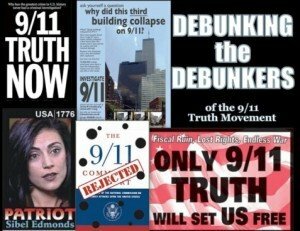 In fact, we believe the issue of disinformation to be the most important issue that each of us face as 9-11 activists. As blogger Arabesque has pointed out many times, the “Official Story” is itself disinformation and must be regarded as such. Ultimately, we are the ones in the street and on the blogs and forums who will have to face the ridicule if our facts are not straight and if we are to be successful, we must learn to identify the disinformation and insert caution into your activism. As pointed out by my guest on this program, it is agreed that central to the various themes of disinformation are the “no jetliner” claims, especially the “no 757? claims for the attack on the Pentagon. In spite of substantial resources being poured into books and videos which claim that there was no airliner crash at the Pentagon on 9-11, Jim Hoffman has published extensive work which would bring these claims into question. Careful examination of Jim’s work reveals a different picture of the Pentagon attack than the “no jetliner” advocates. We at Visibility 9-11 acknowledge that there are many valid reasons for us to believe the “no jetliner” claims. However, a closer look reveals the real possibility that the event at the Pentagon has been manipulated from the start through the use of “official” and un-offical sources. 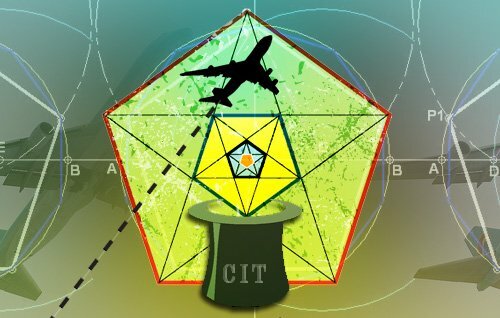 This program takes a closer look at “Citizen Investigation Team” (CIT) and it’s biggest promoter Pilots for 9-11 Truth and their latest effort to advance the “no jetliner” theory. Their new video, National Security Alert, which is being aggressively promoted on the internet and at public events, alleges that not only did the Boeing jet not strike the Pentagon, but flew over it at the last minute in an elaborate deception that not a single witness has claimed to see, and, contradicts the testimony of hundreds of eyewitnesses in the area. This episode of Visibility 9-11 welcomes John-Michael Talboo and Stewart Bradley of the blog Debunking the Debunkers . John-Michael is the creator and administrator of 911debunkers.blogspot.com where he and Bradley debunk the “debunkers” of the 9/11 truth movement. He has been a 9/11 activist since late 2004, and is a grassroots organizer listed on 911truth.org for the state of Indiana, is a member of the Architects & Engineers for 9/11 Truth AE911Truth.org video team, and a founding member of the central Indiana chapter of the activist organization We Are Change. Stewart Bradley is an artist, documentary journalist, and political activist living in Lancaster Pennsylvania who runs an independent mulit-media studio. Stewart was already investigating covert government operations before 9/11 and since 9/11 has re-dedicated himself to exposing the public misconceptions behind the attack. In 2004 he wrote and produced a 9/11 docudrama titled “The Proof”and has been actively promoting 9/11 research through his website, blogs, videos, and internet debates. Topics discussed include the ” take on the new scientific paper, Active Material Discovered in Dust from the 9/11 World Trade Center Catastrophe, and defense thereof. 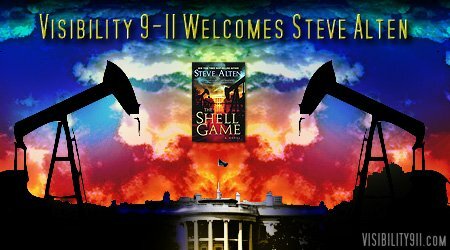 This week Visibility 9-11 welcomes New York Times best selling author of The Shell Game, Steve Alten. Steve Alten is a best selling author and gifted story teller and The Shell Game is Steve Alten at his best. Exciting and entertaining, and yet so informative, The Shell Game has the potential to bring 9-11 Truth to a much wider audience. Please consider purchasing your copy today at your local bookstore, online bookstore, or directly through The Shell Game website (update: website now defunct). Intermission music by Contents Under Pressure. Ending music by Kevin Boyle. UPDATE: After exposing Webster Tarpley as a disinformation specialist, this video mysteriously disappeared off the internet. You can still read about these unprecedented attacks on 9-11 activists Arabesque, Cosmos, and Michael Wolsey by reading the article 9-11 Synthetic Error – The meltdown of Webster G. Tarpley. Fortunately, we still have the audio of Webster Tarpley attacking the 9-11 activists on his radio show which can be heard here. You can also see the professionally commissioned cartoon featuring these 9-11 activists which was produced by Webster Tarpley and transmitted around the internet. Editor’s Note: UPDATE – Shortly after this video of Webster Tarpley attacking 9-11 activists surfaced, Webster Tarpley was soundly spanked and delegated to the un-trustable fringe of the movement by myself and many others. It wasn’t long after that, this video disappeared down the memory hole. I strongly urge the person who owns this video to put it back on youtube to better document this ugly chapter in 9-11 truth. Fortunately, we still have the audio from Webster Tarpley’s radio program, basically saying the same things he said in this video, of course, without showing our pictures to an audience at a 9-11 anniversary event in NYC. 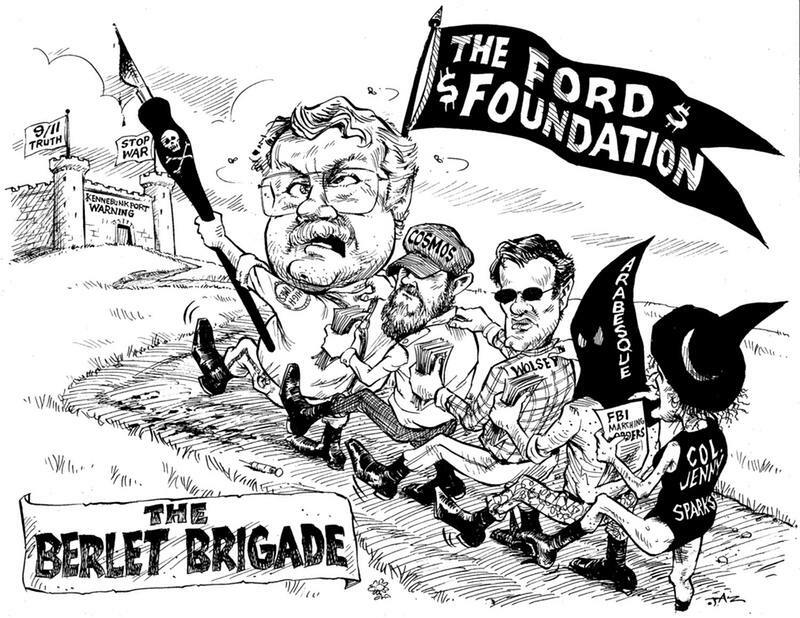 Kennebunkport Warning Cartoon: We are Funded by the Ford Foundation Because we Oppose Divisive Language? Not a bad likeness, although my friends say my chin isn’t as long. One thing for sure, they got my cheap sunglasses! For a background on the ongoing attacks on me, Cosmos, Arabesque, and Col. Jenny Sparks, be sure and read my essay, 9-11 Synthetic Error – The meltdown of Webster G. Tarpley. Also see The Kennebunkport Warning Controversy Reviewed. In yet another strange twist in the Kennebunkport Warning Controversy, a professional-quality cartoon suggests that Cosmos, Michael Wolsey, Arabesque, and Col. Jenny Sparks work for Chip Berlet and the Ford Foundation. Let’s examine this hilarious cartoon, shall we. First of all, I have spoken out about Mr. Berlet; he is anti-9/11 truth and is not a credible source of information. Like all dubious sources, his material must be examined carefully and corroborated before acceptance at face value. In the cartoon, we are seen marching against 9/11 truth and the Kennebunkport Warning with “FBI marching orders“, “poison pens“, and “funding” from the Ford Foundation. The claim that we “oppose” the Kennebunkport warning is demonstrably absurd. Take a look at the original post of the Kennebunkport Warning on 911blogger. Who supplied evidence to support the warning? It wasn’t Tarpley–he simply claimed “massive evidence” without at first providing any in the original post. It was me. If I “opposed” the warning, why would I support it with my own research? In fact, I’ve said all along I don’t oppose the warning. In reality, Mr. Tarpley and his associates have continued to evade our complaint about the divisive language and accusations hurled against the anti-war activists. When we brought attention to this issue, Mr. Tarpley and his supporters started hurling the accusations at us. Now let’s put this in perspective: Is Mr. Tarpley calling us “funded by the Ford Foundation”, and “CoIntelPro” because we oppose his divisive language? If so, that is one of the most ridiculous accusations I have ever heard. It’s too bad I don’t have the “funding” to commission hilarious and professional-quality cartoons in response.